Some theories consider the Sangiovese grape to have its origin in the Etruscan era and that it thus was cultivated mostly in Tuscany. Other theories stress that the Sangiovese grape dates back to the Romans and their winemaking. It was mentioned for the first time in an essay in the 16th century by the agronomist Gian Vettorio Soderini who talked about a Sanghiogeto grape which was good for making wine. 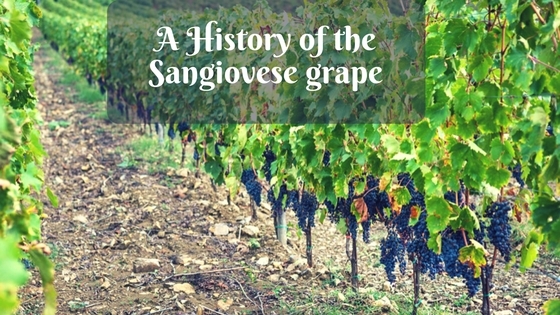 There is no clear evidence that Sanghiogeto would be the Sangiovese grape, even though it has been considered as a first written mention of this grape variety. It was only in the 18th century, that the Sangiovese became well-known and started being planted all over the region. In 1773, Cosimo Villafranchi, mentioned the Sangiovese grape in his ”l’Oenologia Toscana” when he talked about the grapes used for the production of Chianti. Mainly it was produced with Canaiolo Nero, together with a small amount of Sangiovese, Mammolo, and Marzemino. In the 19th century, when Baron Bettino Ricasoli, owner of Castello di Brolio and the innovator of Chianti, provided a new recipe for wine making the Sangiovese grape was an integral part of this recipe. The new formula was to use 7/10 Sangiovese, 2/10 Canaiolo, and the rest should be Malvasia del Chianti. A variation on this formula is indeed still in some sense used for the making of Chianti wine. Since 1996, it is no longer permitted to add white grapes in the blend of Chianti Classico wines while it is still possible in Chianti wines, with the exclusion of Chianti Colli Senesi wines. The origin of the Sangiovese name has a few different theories also. Some say it originates from ”Sangiovannese” as in San Giovanni Valdarno, some say it comes from dialectal expressions in relation to the celebration of San Giovanni Battista in the end of June, and others that it derives from ”Sanguis Jovis”. This latter theory considers the name, the blood of Jove, to come from the Mount Giove close to Santarcangelo in Romagna. If we go as far as talking about parentage, a DNA study was carried out in 2004 by the Istituto Agrario di San Michele all’Adige which came to the result that the Sangiovese grape is a crossing between Ciliegiolo and Calabrese Montenuovo grapes. The Calabrese Montenuovo grape has its origin in Calabria even though it later on, was discovered in Campania. It is still not entirely clear where this crossing between the two grape varieties may have occurred. Recently, it has also been claimed that the Ciliegiolo grape would be an offspring from the Sangiovese rather than a parent. However, it has not been confirmed. 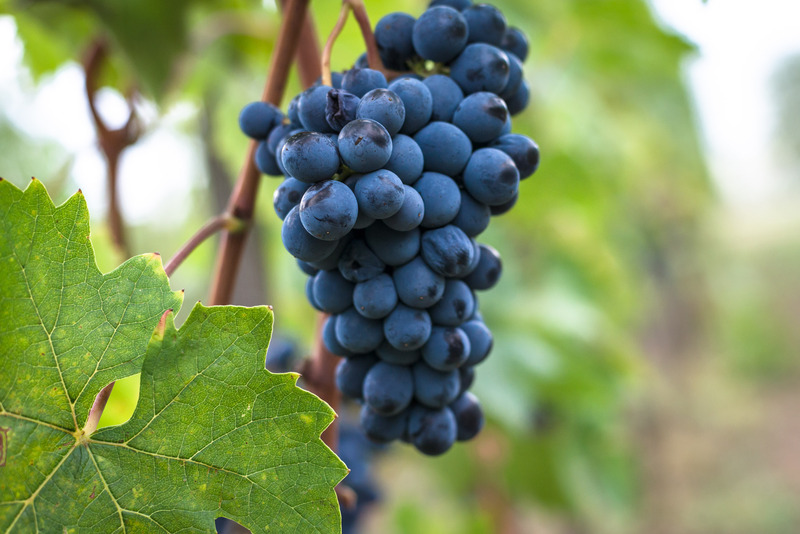 Other DNA studies have also shown an existing genetic relationship between the Sangiovese and other grapes such as Frappato, Gaglioppo, Nerello Mascalese, etc. There are many families and clones of the Sangiovese grape, but here I will only mention the two most common families, namely the Sangiovese Piccolo and Sangiovese Grosso (Prugnolo Gentile). The Sangiovese Piccolo can be considered as the most commonly used in producing wine, while the Sangiovese Grosso is used in Brunello di Montalcino and Vino Nobile di Montepulciano wines. This was just a tiny look into the origin of the Sangiovese grape, and in no way claiming to be exhaustive. The Sangiovese is used in Fattoria di Montemaggio’s Rosé wine, Chianti Classico Annata, Chianti Classico Riserva, and Quinta Essentia wines. To read more about the different Tuscan wines we produce at our winery or info on a wine tour at our estate, click here.